Authors, editors and publishers spend months and years refining a book until it’s ready to be published. That publication date is part of the book’s copyright and marks the completion of the book. But what if a completed book was just the beginning of the story? Through tabletop role-playing games, educators are beginning to tinker with traditional works of literature and, in the process, reimagine how writing and character development are taught. Take, for example, "Fahrenheit 451" by Ray Bradbury. Students in countless classrooms have read the classic 1953 tale of free speech, government censorship and critical thinking. Teachers have assigned book reports, worksheets and discussions. It’s an approach that’s used everywhere. When Kip Glazer taught English at Independence High School (Kern High School District) last year, she wanted to reimagine the traditional way of teaching "Fahrenheit 451" by turning the experience of developing English literacy skills into a game. She broke up elements within the book into game components: imagine a game board depicting various scenes (Guy Montag’s house, the fire station, the old woman’s house), characters within that book (Montag, Clarisse McClellan, Mildred Montag, Faber, etc.) and the things with which they interact (books, television screens, fire, medication). Then Glazer introduces new situations and characters, charging students to use the gamified book elements to create new narratives. 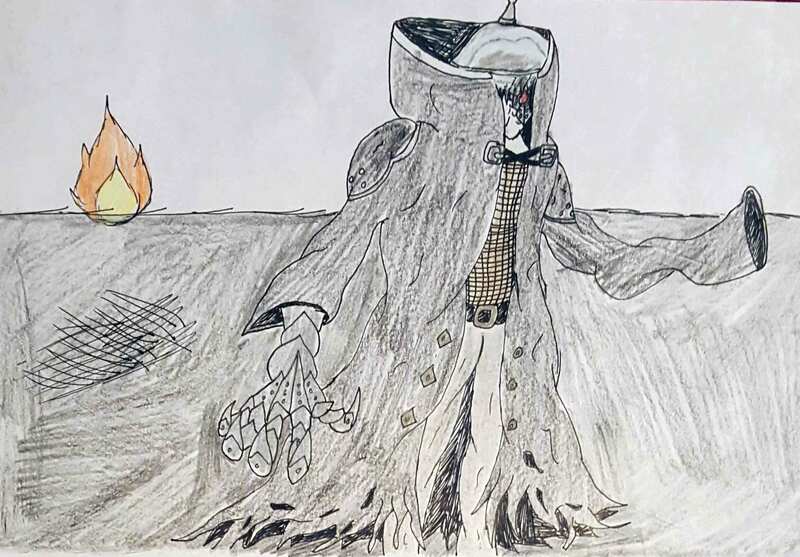 When the story’s elements are liberated from a linear text, students are able to apply their creativity and critical thinking skills to manipulate the story based on a deep understanding of the book. And, as with any game modification, students must understand the existing story thoroughly before they can start playing its elements. In Kip Glazer’s class, students must build up the foundation of understanding they will need to become creators of a side narrative. Students prepare by doing research. They read and reread the book, examine the context that inspired the story -- such as the Cold War in the case of "Farenheit 451" -- discuss their findings and write about them. Each story element is continually examined through daily writing assignments that push students to reflect on how the different narrative elements build a compelling story. As a California public school teacher, Glazer has to fit each activity to meet Common Core State Standards. Role-playing games are certainly not traditional, but Glazer says the writing, critical thinking and analysis involved align perfectly with English Language Arts standards. Students are researching the historical period of the novel’s setting, making arguments about what a character would do and conveying details about the characters in writing. Glazer said her students write about 2,700 words per week during the game. When they’re ready to add new characters and situations, those elements have to make sense within the world of the story. Students must figure out how the pieces interact with one another, strengthening their systems thinking and metacognitive skills along the way. He has a Pickelhaube helmet and wears a long, black leather coat, with the bottoms of it tattered and burned itself. The coat has an insignia of a Chinese dragon surrounded by flames, which is why Montag has a salamander on his arm (Bradbury 4), showing that he is the under-leveled. Igneel, as well as his dark stature and evil spirit, ironically, he speaks in Biblical terms, which is where Captain Beatty obtains his choice of words and phrases from, such as, “You’ve been locked up here for years with a regular damned Tower of Babel” (Bradbury 35). No one knows where he disappeared to, but the crimes roaming around are told to be his doings. “Role-playing and creating as an instructional process fits perfectly in literature education,” said Glazer. She has used games to teach poetry and plays as well, including the "Importance of Being Earnest," by Oscar Wilde. 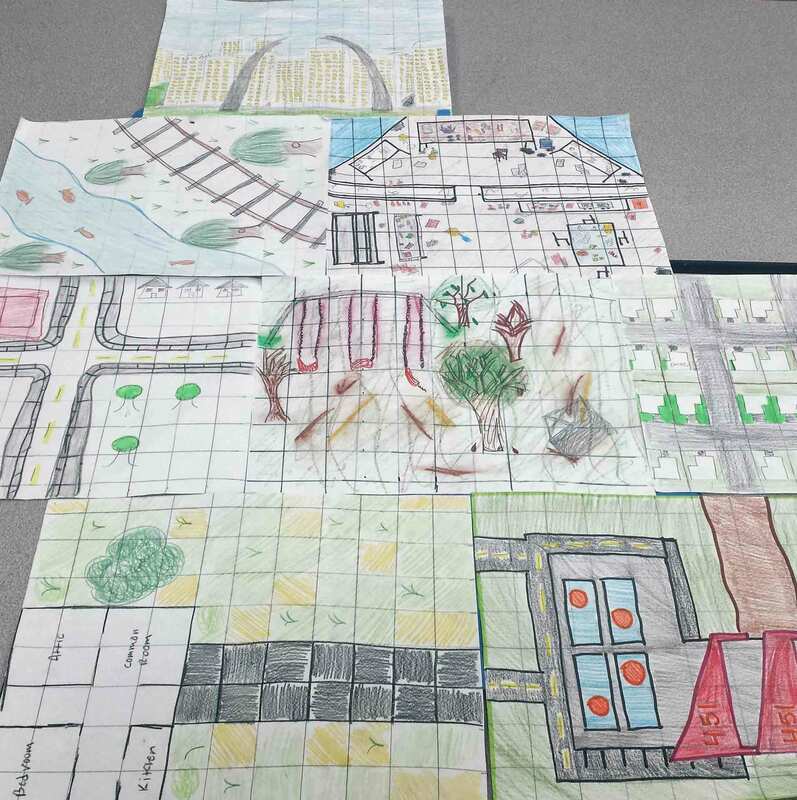 One of Glazer’s favorite aspects of this teaching approach is that tabletop games require several players, introducing a social learning element to the assignment. Students work together to test assumptions about characters. They also play together in real life. And unlike digital role-playing games, tabletop games can be made with little to no money. Glazer, who did not grow up playing RPGs, first got the idea to try them out in her class after seeing the work of Trent Hergenrader at a Games Learning Society conference. He uses RPGs to teach creative writing at the Rochester Institute of Technology, and before that, at the University of Wisconsin Milwaukee. Hergenrader has found that if he encourages his students to think of their writing as a game, with playing pieces that can be separated from one another, they feel more freedom to manipulate character, scene and story in surprising ways. It’s a great creative writing device, but Hergenrader has also found that the process requires deep analysis of text and lends itself well to teaching literature. He has also taught a games version of J.R.R. Tolkien’s works and George R.R. Martin's "A Song of Ice and Fire." “The experience turns out to be so profound in the classroom, you want everybody to do it,” Hergenrader said. Glazer, Hergenrader and educators who use games in the class have all identified the ability of games to engage and excite students who may not have typically been interested in class. Dramatically changing the instruction style from what is “typical” often connects with disengaged learners and helps them to feel like a valued part of the class community, and thus more comfortable. “By introducing this strategy, I was able to invite a lot of participation from students who otherwise would not have revealed themselves to be leaders,” said Glazer. As an undergraduate student at the University of Wisconsin Milwaukee, tabletop RPGs helped Kelsey Frohna branch out academically. She entered school as an avid reader, and planned on pursuing an English degree. Assignments up to that point had largely involved attending lectures, reading works of literature and writing analyses of the readings, activities that were largely solitary in nature. Fronha describers herself as the shy, quiet student in class. When she enrolled in Hergenrader’s digital storytelling and role-playing class about four years ago, her experience of literature was turned upside down. The game they created and played was called “Hellwaukee,” set in post-apocalyptic Milwaukee. Frohna took on the role of a bear named Ursa. She and her teammates created post-apocalyptic Milwaukee by writing about the scenery, elements and characters. Hergenrader was the game master, introducing new situations that would complicate their worlds. Treating a story as a game created an opportunity for Frohna to become an active participant in the story. She found that manipulating characters pushed her understanding of the elements of a story, and made her think more creatively about environment and character attributes. At the core of role-playing games is a deeper examination of character. Students are building off an intimate knowledge of what the character would do, based on everything she has gleaned about the world the character embodies. Then there was the social element of learning with games. Many of the discussions about what a character would do happened in the classroom with peers. Students had to debate what was possible, and understanding the game system became a group activity. Frohna said she had spent much of her school life on her own, learning by herself, but creating a game in her class introduced her to how exciting collaboration could be. Unexpectedly, however, Frohna found a way to apply what she learned in the classroom to her real life. Frohna says the role-playing game came in handy when she found herself in a surprise situation at work. One day at her Old Navy job, she found herself elevated to a managerial role after the absence of her manager. The shy student was hesitant at first, but then she reminded herself of what she learned through RPGs. “After playing games in Trent’s class, I could become someone different and I was able to take that into work.” She thought about her boss as a character and stepped into that role. “I’m like, what would he do? I sort of put myself in his shoes,” Frohna said. She realized her boss is more outgoing and stands up for people, so she tried to embody those qualities, too. Stepping into that role for the first time helped her gain the confidence to take on new roles in her life without thinking of that transition with so much intention, Frohna said. 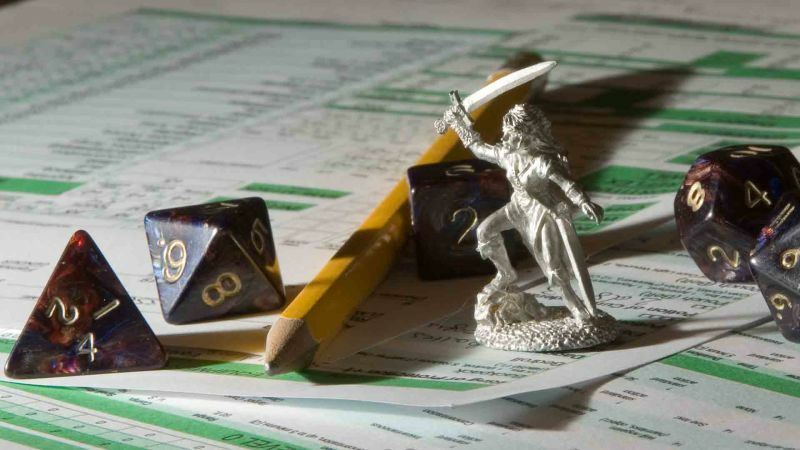 The use of tabletop RPGs in the classroom is still rare, but teachers investing time and energy into turning traditional activities into games are seeing rewarding results. Students who had previously been uninterested in school are engaged, and the experience of making the game includes lessons applicable in students’ lives. It’s still relatively rare to see role-playing games in the classroom, in part because of perceived social stigma, but Glazer says her high school students don’t see it that way.